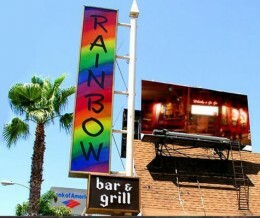 In an ongoing quest for revenue from billboard companies eager to expand their presence in the visual landscape, the West Hollywood City Council has approved replacement of a 144 sq. ft. billboard on the Sunset Strip for one 20 by 60 ft. In exchange, the city will receive $900,000 a year. See article in WeHo News. The the city is also discussing whether to allow multi-story supergraphics on a Beverly Blvd. building in exchange for an annual payment from the property owner. See City Skyline for Sale: Beyond the Sunset Strip.